Potential trade conflict with EU escalates as European Commission drafts punitive tariffs. The list of goods only amounts to $12 billion worth of US exports, but it marks the latest escalation in trade tensions between the US and the rest of the world. The European Commission is reportedly concerned that President Trump will grow even more hostile towards Europe after the trade dispute with China is resolved. European equities actually rallied on the day with the Euro Stoxx index closing up 0.36%, but rising trade tensions between the US and Europe will be a market risk to watch going forward. Banks lead stocks higher after record earnings from JP Morgan. 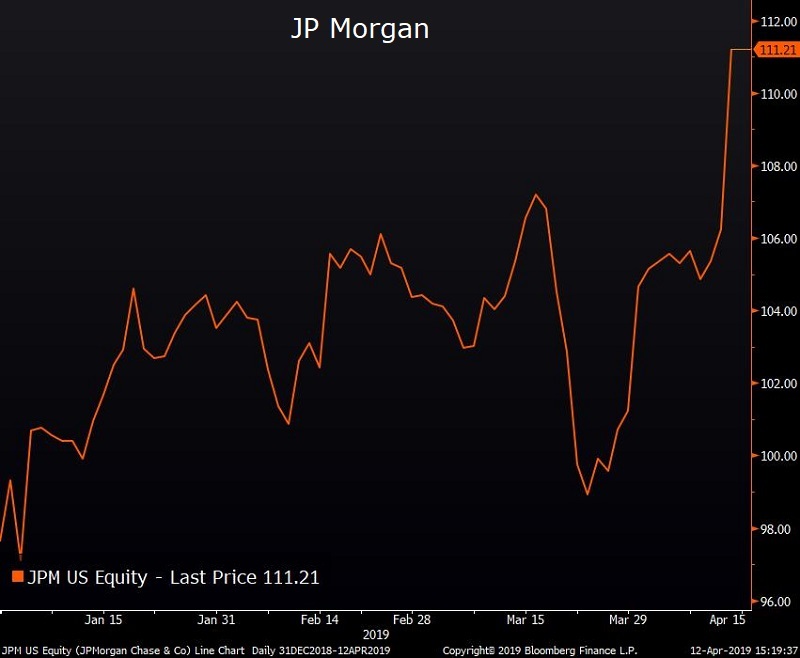 JP Morgan posted the highest-ever Q1 profit for a US bank, boosting shares by 4.6% on the day. Financial stocks led the other US sectors higher, rallying 1.93% on the day, followed by materials and industrials stocks. Financials were also helped by rising rates. 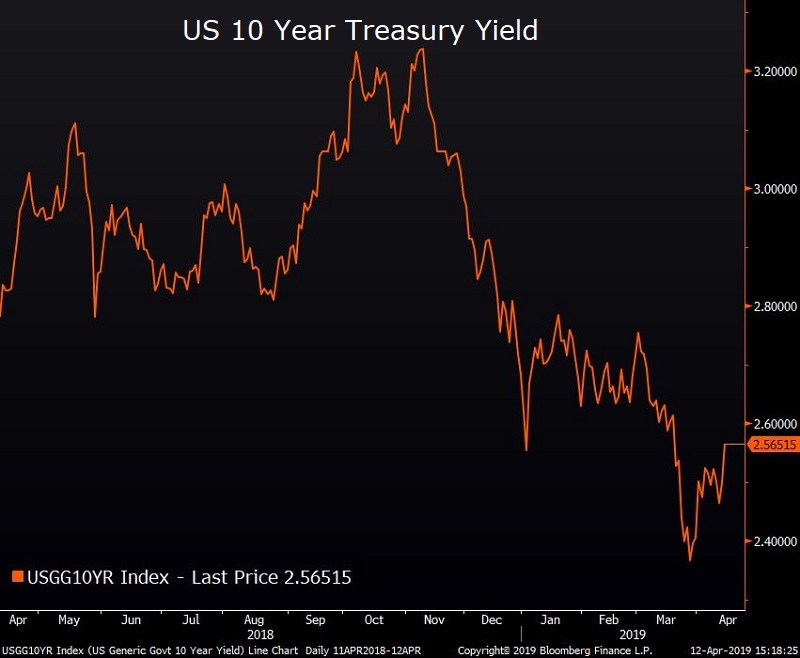 A sell-off in the Treasury market pushed yields and swap rates 6-7 bps higher on the day. The S&P 500 closed up 0.66% while the Dow Jones Industrial Average rose 1.03%. Week Ahead. Markets face a relatively quiet economic calendar during the holiday-shortened week ahead. Goldman Sachs, Bank of America, and Morgan Stanley will be the next banks to release their first quarter results. China’s latest GDP figure will round out the week---an important barometer for investors as they try to gauge the health of the world’s second-largest economy.